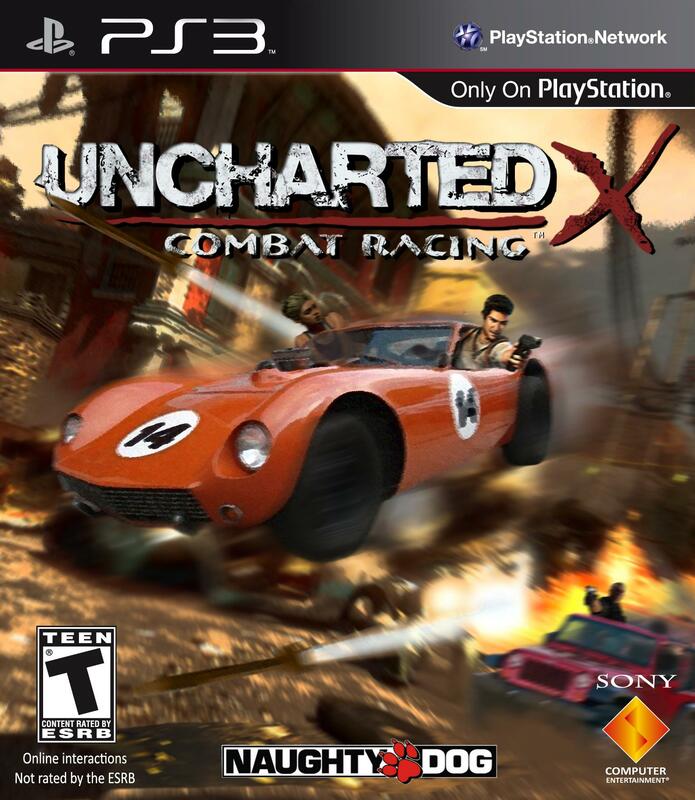 You Want a “Uncharted” Combat Racing Game? How about this? 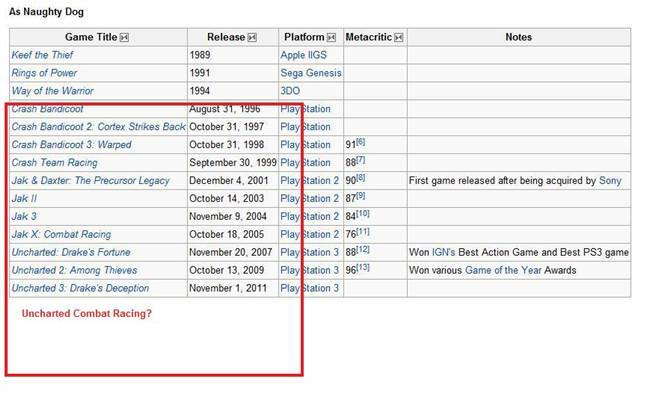 Naughty Dog have always created a combat racing after each of the third game in the Crash Badicoot and Jak series. Dont believe me? Than check out this image. I found it via wikipedia. So that means by logic we should have an Uncharted Combat Racing game straight after Uncharted 3. And we also found a game cover which will fit quite well. Check it out below.